To produce potatoes with high specific gravity follow good agronomic practices. Use high quality seed of the correct variety. Plant the variety at the right spacing and time of year. Apply nitrogen and potassium fertiliser to meet crop needs. Apply addequate irrigation. Over fertilising and over irrigating can result in lower specific gravities in tubers. Avoid planting on wet soils and take special care on very sandy soils. The specific gravity of potato tubers is an important quality criterion for processing potatoes. It is used as an estimate of the solids or dry matter content of tubers — the higher the dry matter content the lower the water content and the higher the specific gravity. The ideal French fry is light in colour, crisp on the outside, fluffy or mealy on the inside and has a minimum of oiliness. Similarly the ideal potato crisp is light in colour and absorbs a minimum of oil during frying. High specific gravity potatoes are needed to produce such products. Lower specific gravity potatoes are more costly to process. More water must be fried out of lower specific gravity potatoes to meet minimum quality standards. 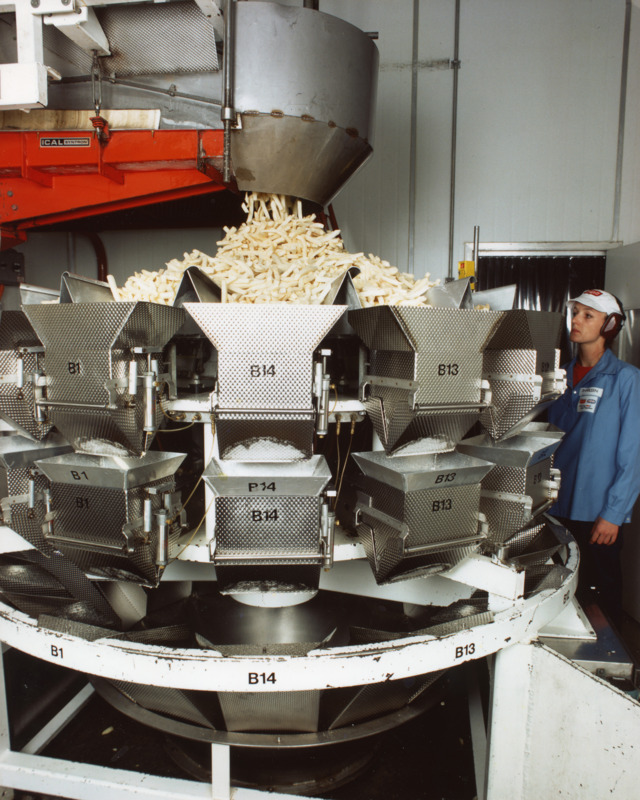 More potatoes must be processed to produce the same volume of product and the longer fry time results in potatoes absorbing more fat. Although processors are primarily interested in tuber dry matter content, specific gravity is easier to measure and so is used to estimate dry matter content. Figure 1 shows that there is a close relationship between specific gravity and dry matter content of tubers. Not all tubers from one plant will have the same specific gravity. Also specific gravity varies within the tuber. The weight-in-air/weight-in-water method gives an average specific gravity for the sample.